Summer or winter, it doesn’t really matter, I love to have a smoothie even when it’s freezing outside. Smoothies did help me when I was on my journey to eat more healthy food. It actually made me love fruits and appreciate the different types and flavor of the vast varieties of fruits out there. 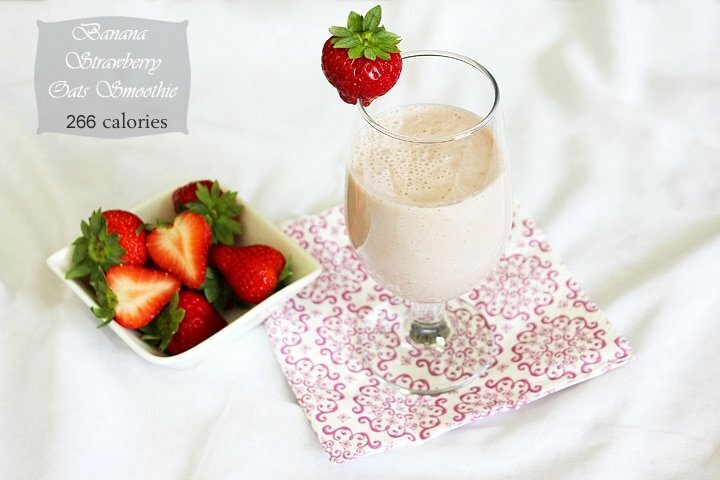 Today I’m sharing a simple yet healthy smoothie, Banana Strawberry Oats Smoothie. 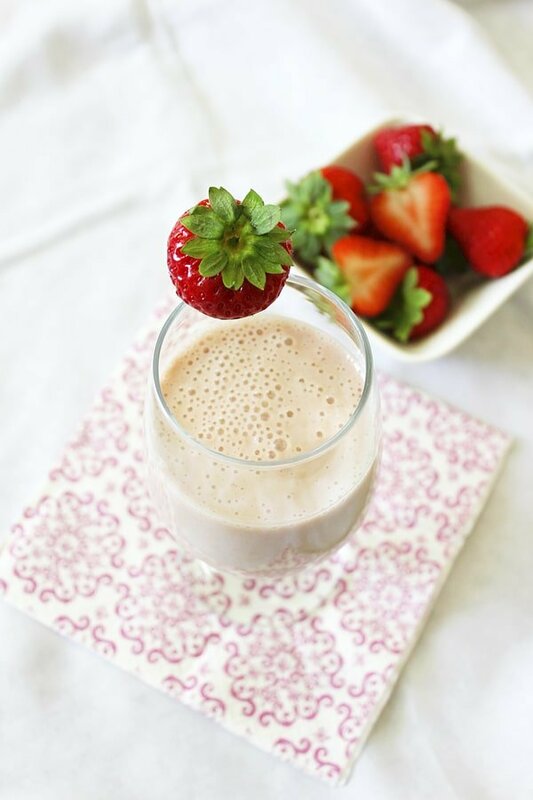 If it’s summer I suggest chopping the strawberries and bananas and place them in the freezer a while before making this smoothie. This blend of goodness is creamy in texture, filling, healthy, smells great, and is a great breakfast. 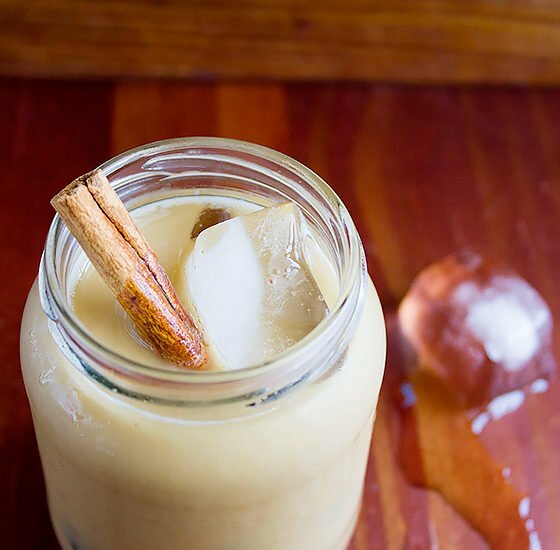 I used full fat milk in this recipe since the amount used is little, and if you’re having this smoothie for breakfast, you do need to feel full longer. 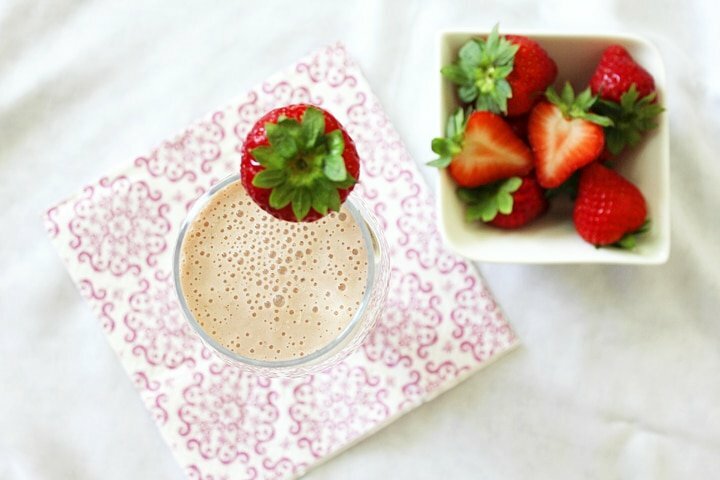 I used honey, since the strawberries were not as sweet as I thought they’ll be, but you can skip the honey and enjoy the sweetness of the fruits, although honey is a good source of energy and it won’t harm to have it in your smoothie. 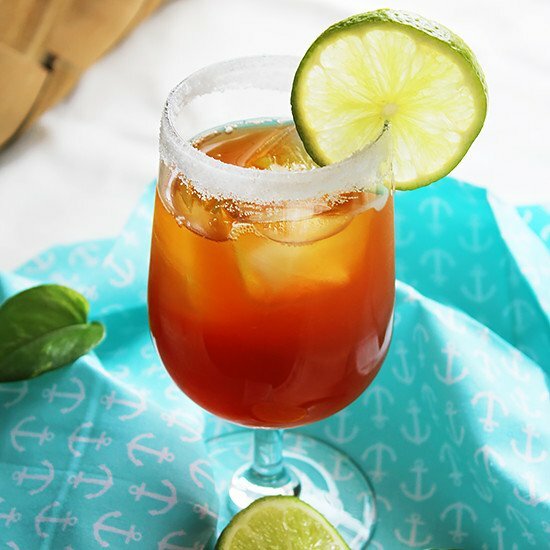 – Add all the ingredients in a blender, blend well and enjoy. For a glass of smoothie, 266 calories are quite a bit, ain’t they? But heck, it’s DELICIOUS! I want one too, Muna. I love the idea of oats in her. I bet it helps keep you satisfied longer. So pretty too! I love smoothies! Adding oats sounds pretty good! 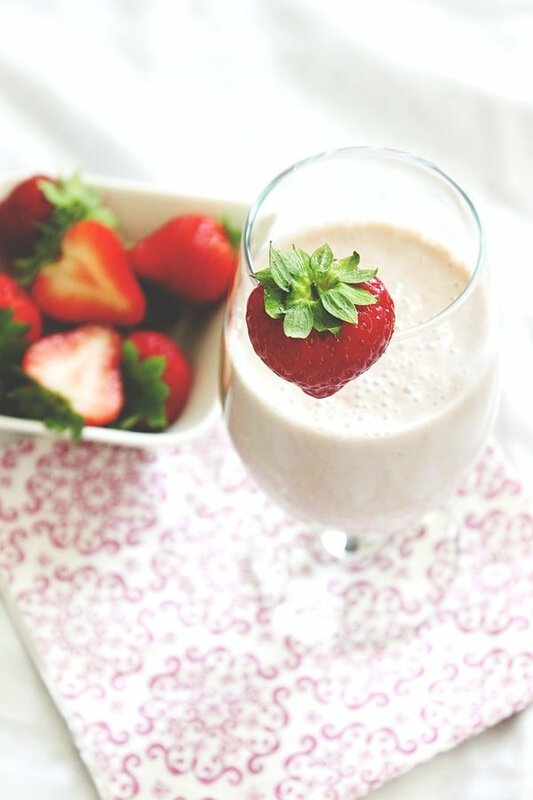 My mornings usually consist of a smoothie for breakfast so this recipe is just perfect for me to recreate! I love the combination of banana, strawberries and oats.. thanks for sharing it! I’m still drinking my smoothies everyday after workout and I am planning to make your smoothie tomorrow. 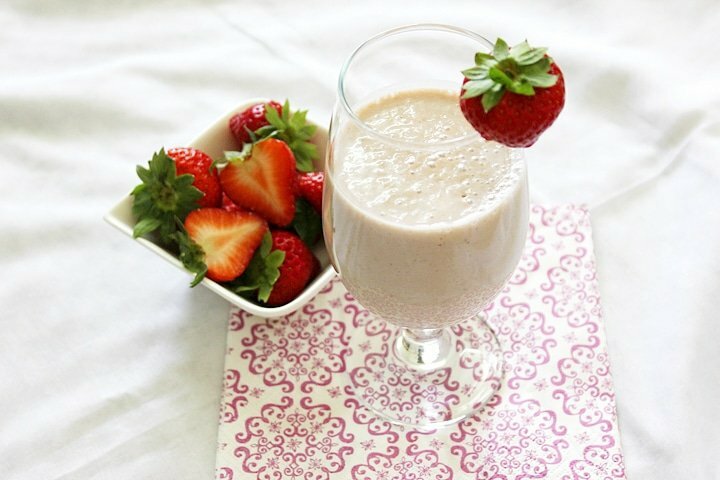 I have oats and wondering about adding in my smoothies…and I saw your post! It is meant to be. 🙂 Thank you for the recipe! Looking forward to my morning glass! Who wouldn’t love this smoothie? I love that you added oats. And look at those beautiful strawberries! So delicious. I have strawberries and bananas arriving with my shopping today, so I shall be trying this for breakfast tomorrow. Pinned!